Elbow FLexion Cross Bar and Cable Control Strap: The ELF Cross Bar and Cable Control Strap eliminates forever your need to fabricate cross bar straps. These straps were developed with over a year of rigorous field testing. The ELF Strap is designed to enhance cable excursion control by providing a platform and cable housing, “tunnel” guide to maximize cable excursion around the elbow. Now elbow flexion can be added to the arsenal of gleno-humeral flexion and bi-lateral scapular abduction to help generate the cable forces needed to operate body powered prosthetic devices like GRIP Prehensors and V/O Split Hooks. The ELF Straps are extra long and easy to modify for length and mounting (drilling, riveting, etc.). • Unbreakable polyurethane material retains flexibility and strength for better cable performance and efficiency. • Cable tunnel guide enhances cable excursion around the elbow dramatically improving performance and increasing operational efficiency. • Capable of being used with both Heavy Duty and Standard size cable housing. Special tubing is enclosed as an accessory that is used to increase the O.D. of Standard Size Cross bars so that they fit the ELF system. • Unbreakable and waterproof. ELF STRAPS survived over ONE MILLION cycles of “ninety degree flexion/extension testing. • Extra long to fit prosthesis with lower trim lines. 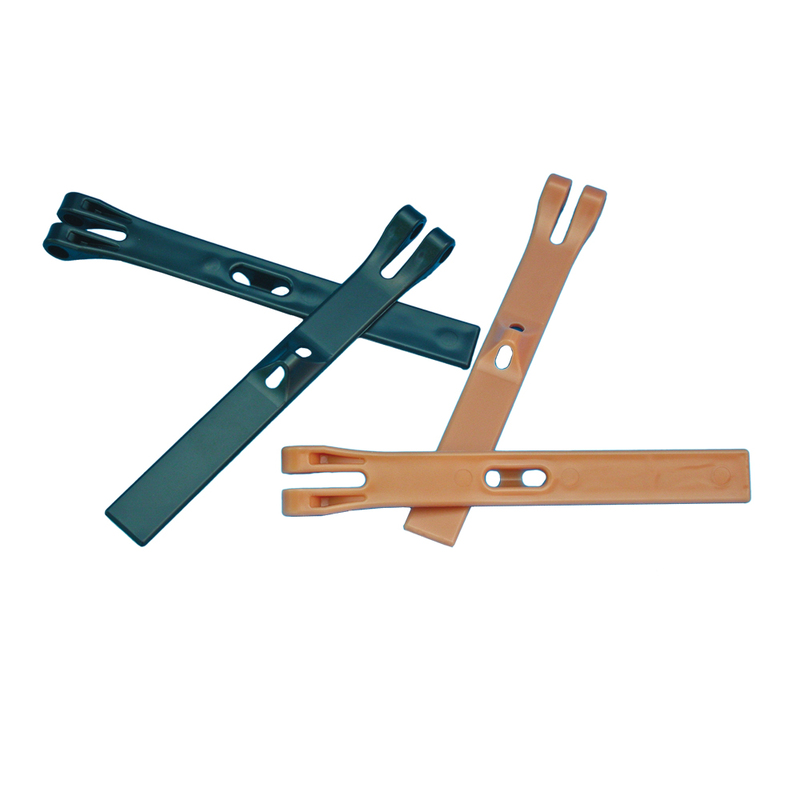 • Easily modified for length and mounting. Material cuts, drills and finishes professionally. • Accessory kit includes mounting hardware and complete Installation Instructions.